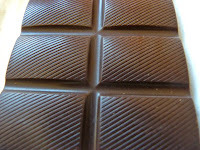 Today was a Chocolate Fun Day at Chocolate Banquet headquarters -- which generally involves taking a trip down chocolate nostalgia lane; enjoying an example of "only in the U.S." chocolate creativity; a "chocsimile" -- an amusing chocolate facsimile of a person, animal or object; or other unique cacao-based fun and games. 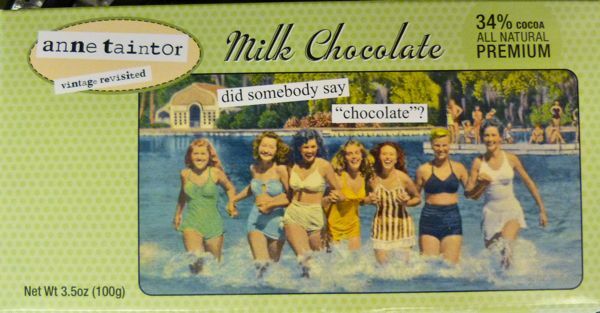 In short, any chocolate that made me smile might qualify. Anne Taintor's Vintage Revisited product line with images from the 1950s, accompanied by witty captions, can be seen in numerous places online. 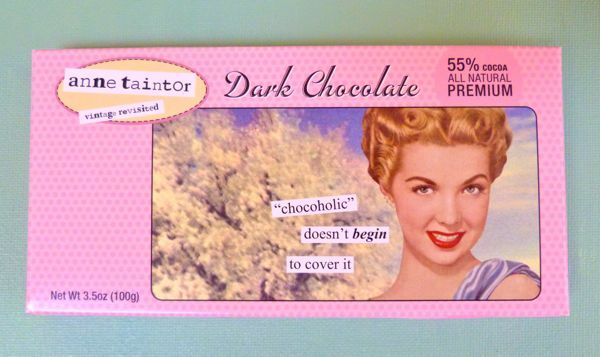 My favorite part about today's Anne Taintor chocolate bars was the packaging, which could be framed and hung. Both bars were well wrapped. The Milk Chocolate 34% cocoa ("did somebody say 'chocolate'"?) 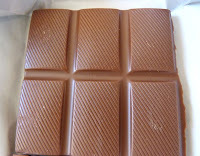 bar was quite sweet, and had a very faint chalky, metallic taste. 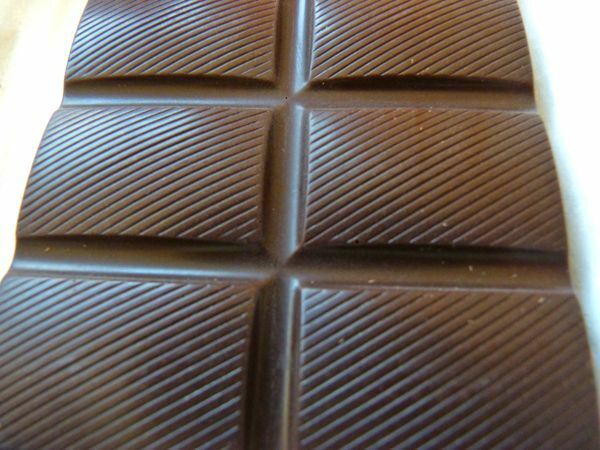 The Dark Chocolate 55% cocoa ("chocoholic doesn't begin to cover it") bar was a bit better.